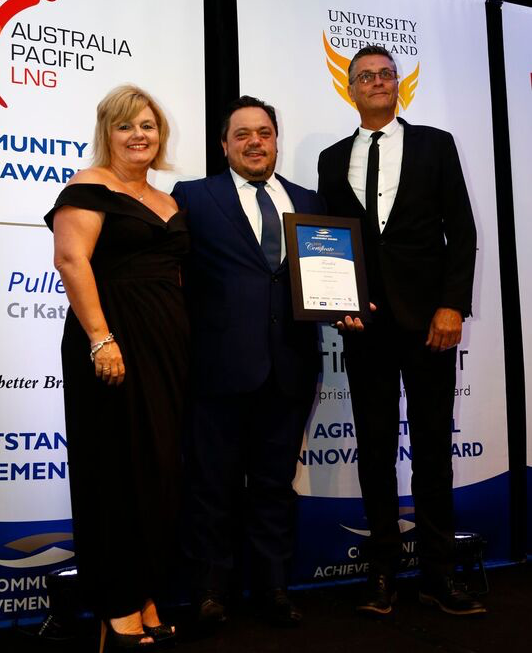 Lighthouse Care has won the prestigious DSS Law Community Group of the Year Award at the 2018 Queensland Community Achievement Awards, presented by David Sorban, Principal of DSS Law. With hundreds of nominations, Lighthouse Care has taken home the Community Group of the Year Award from other strong community contributors including Orange Sky Laundry and the Compass Institute. David Sorban, Principal of DSS Law, has said the firm plans to continue shining a light on the local community movers and shakers of today. The winners were announced on Friday, 30 November 2018 at Royal on the Park Brisbane, hosted by Channel 7NEWS Presenter, Kendall Gilding. More than 300 guests attended the event, including Senator Pauline Hanson, to celebrate Queensland’s best and brightest community achievers. Lighthouse Care of Loganholme delivers 45,000 food trolleys to the value of $25.00 each to struggling families across South East Queensland each year. The not-for profit organisation has a dedicated team of more than 100 hundred staff and volunteers. The majority of Lighthouse Care’s work is self-funded through occasional fundraisers and a low cost grocery store. Lighthouse Care of Loganholme - DSS Law Community Group of the Year Award. Winners each received a $2,500 Award prize from Commonwealth Bank and a trophy. Claire Jones was announced as the University of Southern Queensland People’s Choice Award Winner and received a $500 prize. For further information, please contact Renee Pappagallo on (07) 3210 2373.